It's the pitch on which John Terry famously slipped, Cristiano Ronaldo missed and Edwin van der Sar saved a crucial one, all in one dramatic penalty shootout in the 2008 Champions League final. The grand 81,000-seater Luzhniki stadium is a surreal sight for someone standing on the pitch. This is where the opening ceremony of the FIFA World Cup 2018 will take place on June 14. 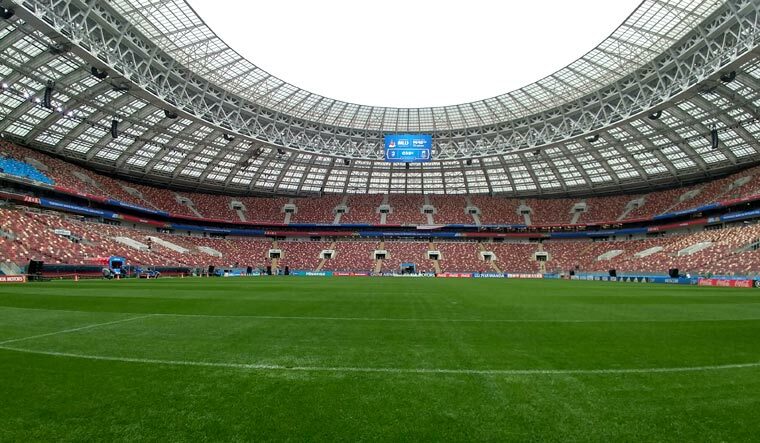 The Luzhniki stadium will host seven World Cup games including the opening match between Russia and Saudi Arabia, a semifinal and the final on July 15. 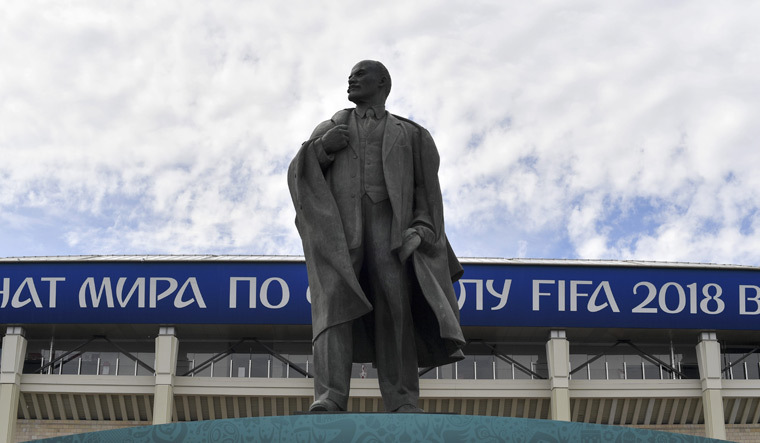 Initially called Lenin Central Stadium, the Luzhniki complex has a towering statue of Lenin at the entrance. Workers are busy setting up massive instalments in the complex, close to the statue. A giant television screen is being erected outside for fans who didn't get tickets to watch the game. With the opening day just two days away, final touches are being made to facilities inside the stadium as well, even as mediapersons are allowed to tour the hallowed pitch. Originally opened in 1956, the stadium was demolished in 2013 and rebuilt for the 2018 World Cup. The athletics track was removed and capacity increased. The renovation included reconstruction of stands, adding a new tier of seats, and expanding the roof structure. Despite all the changes, the iconic exterior of the stadium was left untouched. Luzhniki was named the best football arena of 2017 by international experts, who voted on the basis of three criteria: architectural value, functionality and innovation. There are 20 sport-themed monuments around the stadium. Besides that memorable Champions League night, the stadium's biggest moment was when Russia held the 1980 Summer Olympics and it was the venue for both the opening and closing ceremonies. About 1,300 cameras have been installed to monitor activity in every nook and cranny of the stadium. With Russia at the receiving end of much criticism for the lack of law and order around sporting events, these cameras will help nab troublemakers. A sad moment in Luzhniki's history is the stampede in 1982 during a Spartak Moscow game that killed 66 football fans. The stampede coincided with Spartak's goal that was scored in the dying seconds of the game. The Luzhniki disaster memorial stands on the grounds of the stadium, within the complex. The FIFA Fan Fest, which is said to have a capacity of 25,000 fans for every match, will be held on the other side of the picturesque Moscow river that runs beside the stadium. 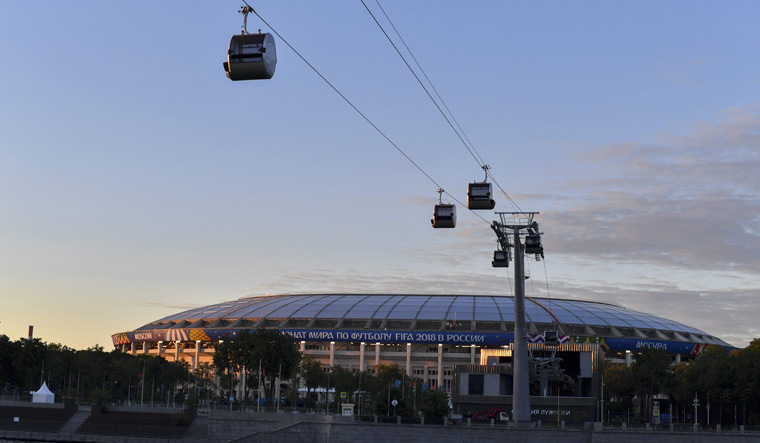 Interestingly, a new cable car ride was started last week, running across the Moskva river to the stadium. The 737-metre long line offers riders a grand panoramic view of the river and has three stations. Spectators can use this to travel to the stadium. Inside the stadium, the flags of the two nations that will play on Thursday are already flying high above one section of the stands, waiting for the games to start. If Russia manages to beat Saudi Arabia in the opening game, the party will have well and truly begun for the host nation. 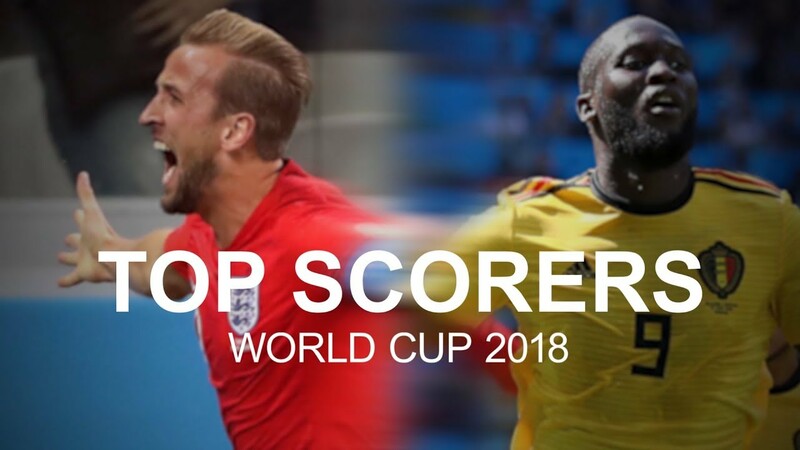 World Cup 2018: How are fans making sure they see England play Sweden? World Cup 2018: fire alarms, fans and the buildup to Sweden v England – live!